- Starting at Rs. 175/- for 100 cards. Single sided business cards are affordable and can be carried by one and all. Do you feel that business cards are only for big companies or people who own large scale businesses? Yes! They are really handy for them but they are also useful for freelancers, work from home women entrepreneurs and anyone looking at entering the start-up space. When you meet new people, just sharing your number or writing it on a piece of paper in all likeliness will not leave a lasting impact on your potential client. The best way to exchange contact details is to share your business card. 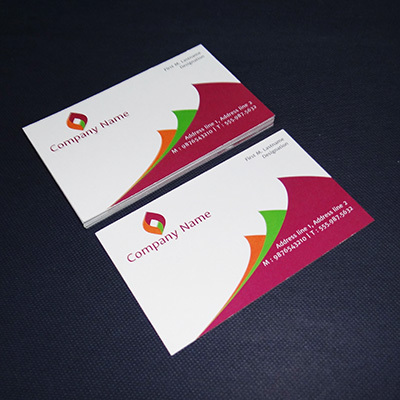 If you are worried as a company or as a freelancer about affordability factor, opt for Economy Business Cards. Whenever you leave your business card with a potential client, they are likely to think of you in the near future when your services will be handy to them. Even more, they will have an impression of sheer professionalism of you. 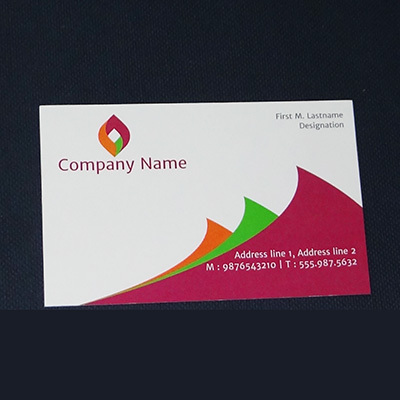 On one sided business cards, you can easily add your name, contact information, address, logo, social media links and all that you think will help you escalate your business. 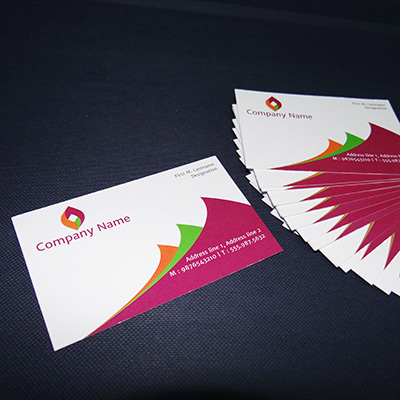 Plus with business cards, handing out your business information becomes really easy. Economy Business Cards, make for a great option for those looking to print business cards on a budget and in volume. You don't have to really make an effort to get business cards printed now. If you have a template ready, simply upload them on Reliable Prints website, confirm the design layout - add your delivery and payment details. The payment is as safe as it can get on our site and so are your contact details. If you do not have anything designed, you can still create a single sided business card ready for you in no time. All you need to do is design a card, of your choice from our wide assortment of economy one sided business card templates. Once you know you have the design ready and all your details added, click-confirm-pay. The moment you pay, your business cards go straight for printing and will be ready in 2-3 working days. If you would like to hand pick them or would like us to deliver them at your doorstep, we have both facilities readily available. A good business cards can really make a difference for your business. So, get one now!